Note: The Batch team sent me a sample of this to try, but I will let you know if I’m not a fan. 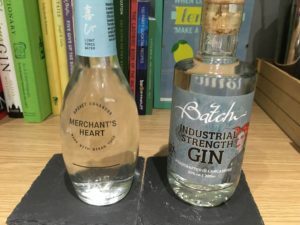 You may have seen my review of Batch Brew‘s signature gin (here) and their Innovations Gin Rummy (here). 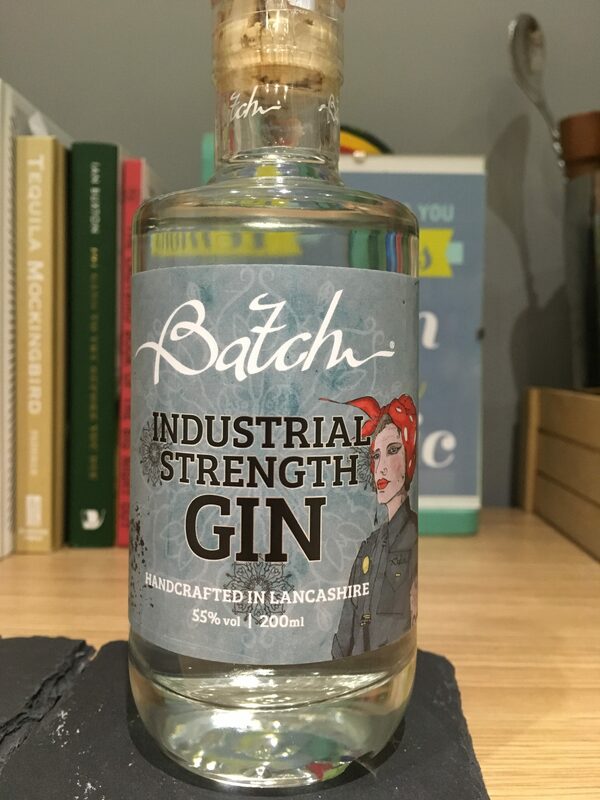 Today we are trying their Industrial Strength gin which is part of their main range, after making its debut in their experimental Innovations range. 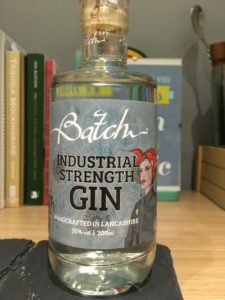 This is their take on a navy strength gin – this is 55% ABV – which has won double gold and best gin at the San Francisco World Spirits competition, not bad for a gin distilled and bottled in Burnley. This version is a twist in their signature which tones down the spice and amps up the juniper with a touch of lemon balm (or Melissa officinalis) for a sweeter note. Opening my bottle and it smells rich and inviting, definitely an edge of citrus but there’s also something deep and herbal behind it. In the glass this opens up and allows the ethanol to come through which distracts from the nice notes we could sense before. Adding a splash of water and these come back luckily, although it is still a bit blunt on the tongue (which is actually fairly normal for a Navy Strength gin). Once you get past this, it has a gentle herb note that washes over your tongue with just a touch of lemon bringing some zing at the end. Mixed together with some light Merchant’s Heart and it provides a lot of aromas, waking up your nose as you lift the glass followed by refreshing your mouth with a bright, zingy flavour. It’s not particularly complex, the flavours don’t change but it has quite a long, slow finish as it fades. There’s almost a touch of ginger to it with the intensity that it hits, but none of the heat. This reminds me of sherbet sweets, a sense of lemon without it really tasting of lemon. The juniper is still there as the gin leaves your mouth bone dry, but it’s not too piney as some juniper forward gins tend to be. I will add, there is a touch of mouthwash about it, but I’m quite sensitive to mint so I’m sure it won’t bother most people (and if you add just a touch more tonic it calms down). You can get your hands on a 70cl bottle from the Batch Brew website for £42 (at time of writing). Ramping up the ABV also hikes up the price tag, but this is pretty reasonable for a 70cl bottle. There’s more flavour going on than some navy strength gins I’ve tried before where the alcohol hits you and hits you hard. You can find Batch Brew on Facebook, Twitter and Instagram. Have you tried any of Batch Brew’s spirits? Let me know your thoughts on Twitter and Instagram.